Classic and Welcoming! 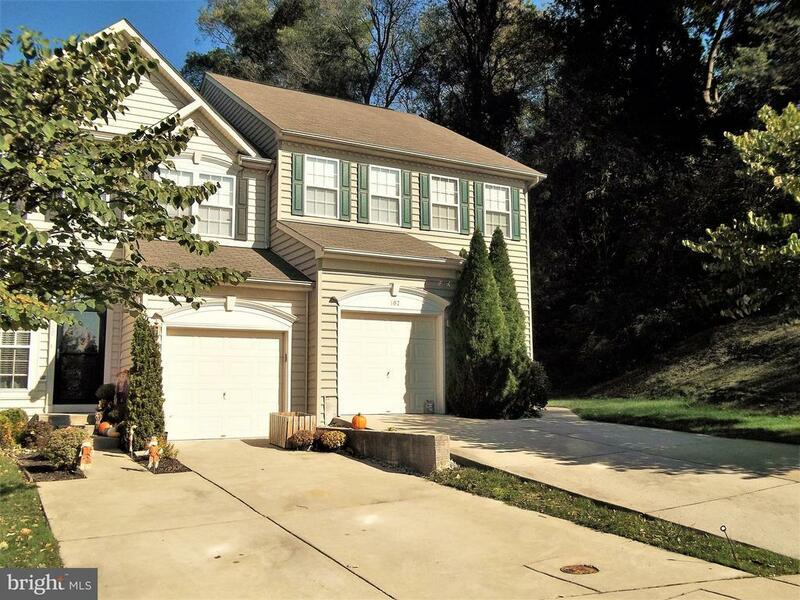 Move in ready home located in the water oriented town of Perryville. Take your evening stroll by the Susquehanna River. Gemcraft built, shows well with many upgrades & options. End of group TH provides privacy. 3 finished levels, 3 bedrooms, 3.5 baths tastefully decorated though out. Gas fireplace will take the chill off those winter nights. And if you like to cook, you will love this kitchen! Upgraded cabinets, Stainless Steel Appliances, recessed lighting, Corian Counter Tops, Island with sink, & double ovens. Open to dining area & sliders to rear deck. Open stairway to second floor, large master BR with private bath, soaking tub & separate shower, walk in closet, & decorative ledge/shelf. 2 more sun drenched bedrooms complete the 2nd level. Lower level will make a great family room or man cave, presently used as an office. Another full bathroom & large storage area are also present. Walk up stairs to back yard. Make your appointment today, easy to show, can settle quickly.